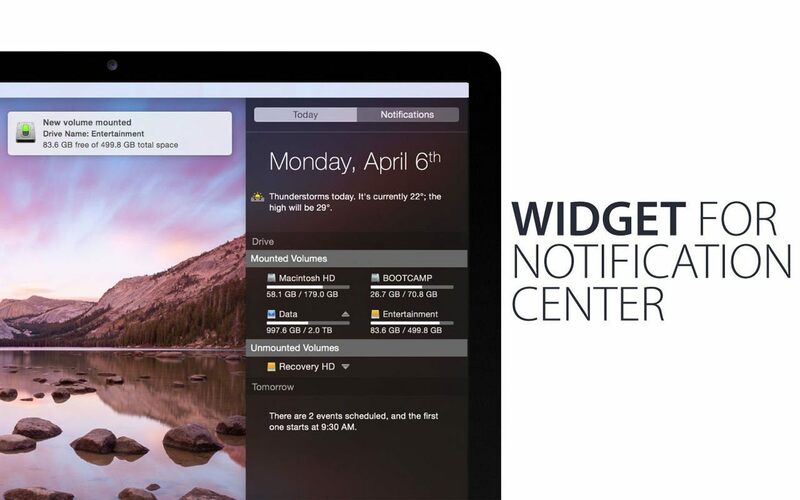 Drive for Mac	No ratings yet. 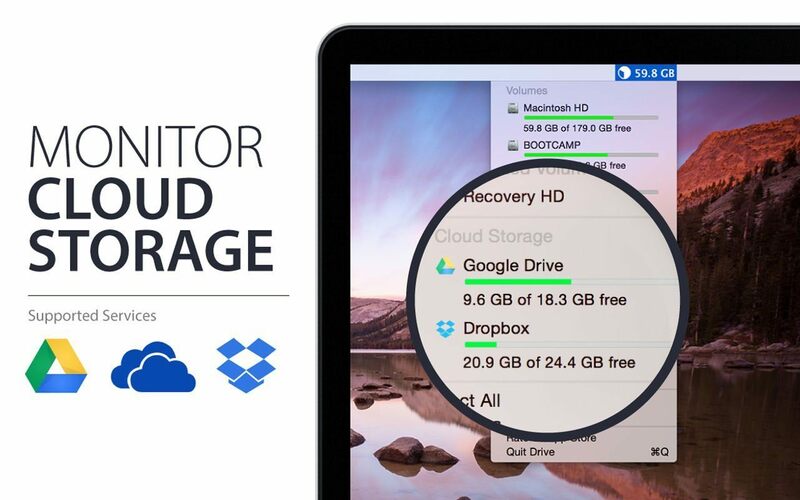 Drive makes it easy to check the available space on all your drives/volumes with a single click. 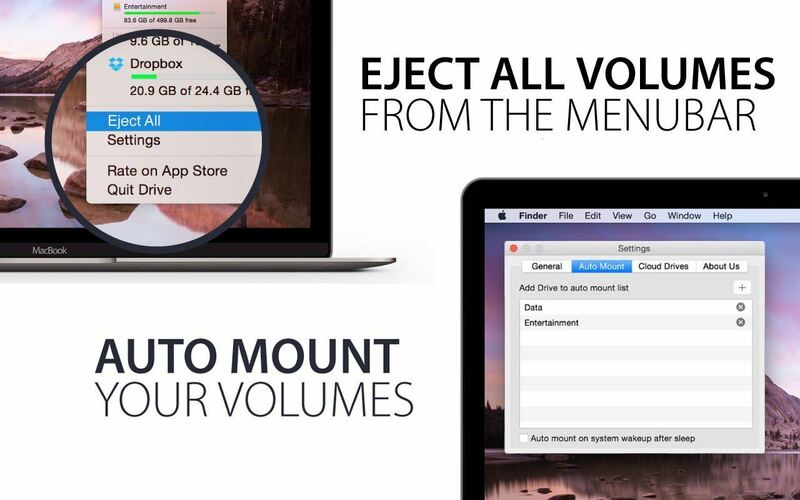 Eject your mounted volumes quickly and monitor free space of your system volumes from the menubar.